I am honoured and privileged as Permanent Secretary in the Ministry of National Security to address you, the people of St. Kitts and Nevis, today, October 13th, which is designated each year as the International Day for Disaster Reduction. Today, the International Day for Disaster Reduction is being commemorated both here in St. Kitts and Nevis and worldwide, with a focus on Target C of the Sendai Framework. The Sendai Framework for Disaster Risk Reduction 2015 – 2030 was adopted on March 18th, 2015 in Sendai, Japan at the Third United Nations World Conference on Disaster Risk Reduction. Target C falling under the Framework aims to reduce economic losses from disasters, which uproot and displace millions of people annually around the world. In St. Kitts and Nevis, the human toll of displacement has seen our early childhood centres and secondary schools accommodate several students from other hurricane impacted islands, free of charge. These students came here to live with extended family and family friends in the aftermath of Hurricanes Irma and Maria, so that they can continue their education and personal development. The Government has extended support of EC$2.5 million in cash and has also given in kind, to aid our neighbouring islands in their hurricane recovery efforts, which will cost in the billions of dollars. As we join the global community in observing International Day for Disaster Reduction 2018, the Team Unity administration reiterates its commitment to working to ensure the reduction of economic losses in the face of disasters. We recognize that, in doing so, we will empower communities and families, protect lives and livelihoods, and give our children and their children stability, a sense of security and the very best future and country that they and all of us deserve. As such, reducing economic losses from natural disasters is a very real developmental priority, which is rightfully on a pedestal today, October 13th, the International Day for Disaster Reduction. Here are some sobering facts that spell out why disaster reduction must be top of mind for governments the world over. An analysis conducted by The World Bank and The Global Facility for Disaster Reduction and Recovery found that extreme natural disasters exact on the global economy a $520 billion loss in annual consumption. Moreover, the report found that such disasters force some 26 million people into poverty each year. These stark facts hit us close to home last year in the aftermath of two Category Five Hurricanes. While Irma and Maria damaged some roofs and other structures here in the Federation of St. Kitts and Nevis, the two hurricanes devastated several neighbouring islands, resulting in losses equivalent to as much as 3.5 times countries’ Gross Domestic Products. Following the catastrophic hurricanes in September 2017, we in the Caribbean lost more than $1 billion dollars in tourism revenue, the Caribbean Tourism Organization has reported. What’s more, an analysis released by the World Travel & Tourism Council has found that the estimated 826,100 visitors whom the Caribbean lost due to the 2017 hurricane season would have supported over 11,000 jobs. Hurricanes Irma and Maria also destroyed roads, bridges and public utility systems and resulted in substantial losses of crops, productive trees and livestock in the Caribbean. Housing and infrastructure were the most impacted sectors across the region. Here in St. Kitts and Nevis, the Government has been responding to the felt needs of the people by integrating disaster risk reduction (DRR) and risk-informed measures into new programmes and policies largely focused on building back better and increasing our country’s resilience. The Office of the Prime Minister is proud to spearhead a multi-disciplinary Hurricane Rehabilitation Committee that includes representatives of the National Emergency Management Agency (NEMA), Public Works, the Ministries of Finance, Social Development and Sustainable Development, as well as the private sector. This committee has deployed several field officers to help implement the Government’s Post-Hurricane Relief Programme, which is an immense success. The programme has provided some repair assistance in the form of materials and labour costs to more than 1,430 applicant households. This is the most comprehensive response ever to the felt need to rehabilitate our hurricane-damaged housing stock. The Government has also completed over 220 homes under the aegis of the National Housing Corporation (NHC) since 2015, and construction has begun on another 35 units. Notably, the roofs under our Housing Solutions Programme are made of sturdy Galvalume, which can better withstand high winds and hurricanes compared with the soft shingles used under previous programmes. 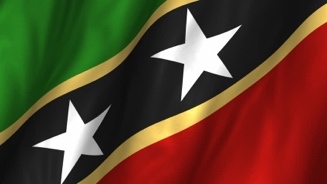 This move to build climate resilience in St. Kitts and Nevis aligns with present regional initiatives, such as the OECS Commission’s Climate Change Adaptation and Sustainable Land Management Project and the effort being led by the Caribbean Development Bank (CDB) to harmonize a regional approach to both disaster resilience and the regulation of the building sector. The Government has also been focused on increasing the road transport sector’s resilience to the impacts of climate change and natural hazards. To this end, EC$23 million was allocated in the 2018 Budget for the rehabilitation of the Old Road Bay. A critical link in the entire island road network on St. Kitts, the Old Road Bay became impassable in the aftermath of Hurricane Maria due to the large sea swells, heavy rock slides and considerable land erosion that had occurred. The Government has therefore prioritized the design of a new road that, among other things, will raise the elevation, thereby addressing rising sea levels and strong waves. At least EC$69 million is being spent on rehabilitating the island’s main road. The ongoing roadworks entail the construction of a proper drainage system on the eastern side of St. Kitts in the vicinity of CONTEC, the widening of the main road, as well as the building of drains, retention walls and sidewalks. I take this opportunity to thank the citizens, residents and visitors to St. Kitts for your patience and understanding during the significant roadworks that are being undertaken. When completed, there will be a marked reduction in flooding from severe weather conditions, and improved road safety and passability. These are just a few examples of the Government is designing effective climate resilient actions and disaster risk reduction (DRR) strategies. In essence, the Government is ensuring Resilience for All, which is the theme for the local observance of the International Day for Disaster Reduction here in St. Kitts and Nevis. What I have outlined above should be excellent news, for instance, for all who expect an ambulance to come to their aid quickly, whether rain or shine. That’s because fewer flood events will shorten ambulance response times, which can mean the difference between life and death. Indeed, the Government’s investments to greatly improve the resilience of the country’s road transport network will also enhance the resilience of our healthcare system. For sure, our healthcare system has gotten a lot stronger through our robust investment targeted at disaster risk reduction (DRR). For instance, for the first time in many years, the Mary Charles Hospital and the patients it serves have their own EMT/ambulance service. With the addition of this 24-hour dispatch point, the Government has brought an ambulance closer to the people of the Keys to Saddlers Medical District, meaning that medical assistance is no longer dangerously distant. The Ministry of Health is also providing its EMT personnel with relevant and updated ongoing in-house training, as well as continuing educational opportunities. I am pleased to take this opportunity to salute the hard work and commitment of our emergency workers, first responders and disaster management volunteers who make up the essential services of our country. On behalf of the Government and people of St. Kitts and Nevis, I thank all of you for your tireless efforts. I also take this opportunity to highlight the meaningful exercise that the Ministry of Education has been undertaking in collaboration with the Caribbean Disaster Emergency Management Agency (CDEMA), the United Nations Office for Disaster Risk Reduction (UNISDR), the Austrian Development Agency (ADA), and our local disaster management agency, NEMA. Their partnership has resulted in vulnerability assessment training being conducted at NEMA, as well as practical sessions held at schools in St. Kitts and Nevis under a Model Safe School Training Programme. The goal is to have vulnerability assessments done at our schools in order to make them more disaster resilient. As I deliver this message, today, October 13th, the International Day for Disaster Reduction, which is being spearheaded locally by NEMA, its district volunteers are out and about in various communities engaging in public awareness and outreach activities. I commend National Disaster Coordinator Mr. Abdias Samuel and his dedicated team for organizing an engaging slate of activities that ran throughout the week and fittingly caps off today, the International Day for Disaster Reduction. In closing, I must remind our Citizens and Residents that we are still in the Hurricane Season. Please continue to heed the public advisories issued by the National Disaster Mitigation Council, the National Emergency Management Agency, the Met Office, the Ministry of Health and other related agencies.